TheClassicCarFactory.com : Sold Classic Cars. 1990 Mercedes Benz 560SEL W126 - 2 Owner California Car - 62,000 Miles SOLD . Virtually showroom condition 2 owner Mercedes Benz 560SEL, the flagship of the w126 Line and the most successful selling S-Class to date. This Series 2 vehicle is finished in the factory Midnight Blue ( Dunkelblau Code 904) with the rare Light Cream Leather Interior. All mechanical functions are working as they should, with cold A/C. Features include electrically heated and reclining rear seats which were exclusive to the 560SEL. Recent servicing includes new ball joints and brake lines, temperature and coolant sensors and new tires. Originally delivered in California, the current owner purchased this car on Rodeo Drive in Beverly Hills and shipped it enclosed to NJ. Motor Trend's Car Of The Year For 1967, this absolutely gorgeous XR-7 two door coupe is finished in dark metallic green with a two-tone leather/vinyl parchment interior. 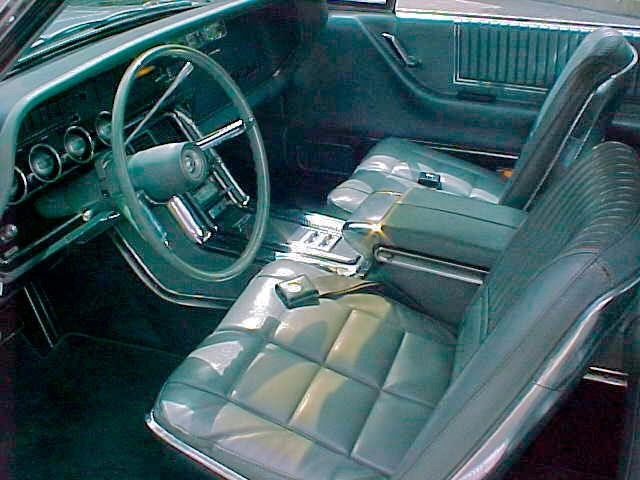 V8 289 2bbl; Options include the XR-7 package with unique badging and dash instrumentation, console, floor mounted automatic shifter, Rallye Clock, Overhead check system console and optional factory wire wheels. NO VINYL TOP. This rust, dent and accident-free example was special ordered delivered near San Francisco CA and driven by the original owner until 2009. True mileage of this car is an astounding 236,000 - though it looks closer to a fraction of that. A complete mechanic and cosmetic restoration was conducted, including new vacuum hoses for the hidden headlight doors, new shocks, new Michelin radials, new brakes, battery, new exhaust & transmission/differential servicing. The Rally Clock was converted to quartz and new dash pad was installed. 2009 Winner of The N.Y. Times People's Choice Collector Car Poll. 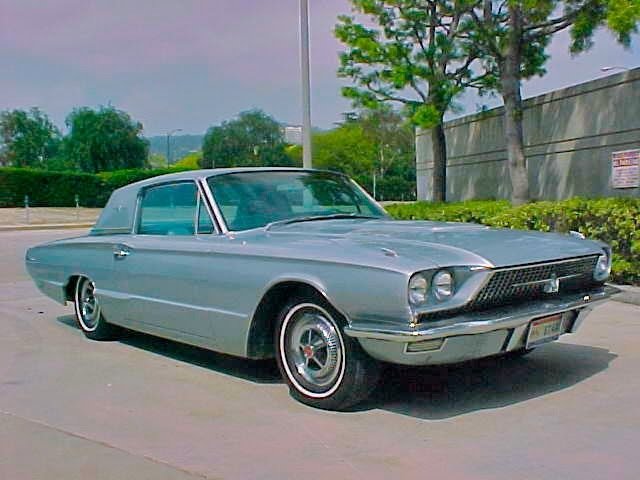 Gorgeous and rare California Black Plate 1966 Thunderbird Town Coupe finished in Silver Mink Metallic with Matching Silver Mink Interior. Options include power windows, power vent windows, power brakes, electric drivers seat, am/fm stereophonic radio with front and rear speakers, power locks,Star Deluxe hubcaps, Factory fender skirts, new Michelin radial tires, complete tuneup, tinted glass, electric antenna. Standard "Private World Of Thunderbird " features include swing-away steering column, fender mounted turn indicators, sequential rear turn lights upgraded to electronic unit, factory floor mats with logo, center locking console and overhead check panel. Mechanically and cosmetically restored to be a great daily driver. 1 owner California 450SEL W116 - the car that put Mercedes Benz on the map as the undisputed pinnacle of luxury touring sedan manufacturers. Finished in the original factory Deep Blue, the exquisite finish lightens and deepens with the prevailing light; The interior is a combination of leather and MB-Tex in Dark Blue and is flawless with no rips, tears or cracks; Glass, chrome, carpeting and door panels are perfect. 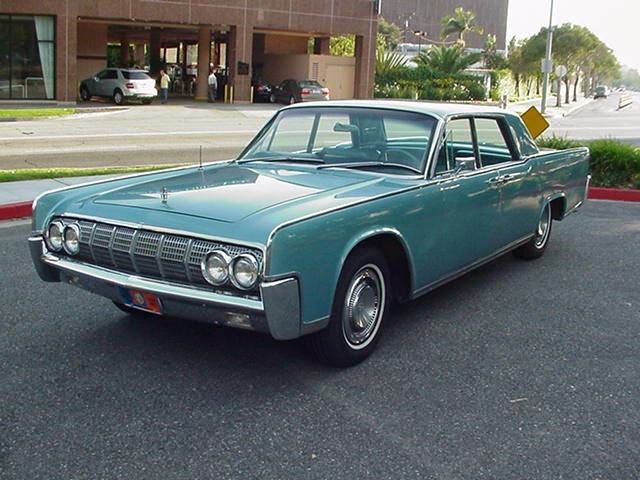 There is a slight patina to some of the chrome trim that documents its originality; the passenger-side doors appear to have been treated to a professional repaint of the original panels. There is no evidence of any accidents or mishaps. According to the executor of the estate, The original owner lived in both Montecito and Palm Springs California and used this vehicle for driving between. A beautifully maintained example of the Baby Benz 190e 2.6 ; The w201 Series was produced between 1984 and 1993 at a development cost to Mercedes Benz at over $1Billion US. The 190e featured the first mass-production multi link axle that was above the sophistication and handling abilities of the then-current S-Class. This 3 owner 1987 2.6 marks the first year of the inline 6 cylinder. The mostly-original paint is factory Nautical Blue with the interior a flawless Dove Grey MB-Tex. The vehicle features electric seats and front headrests, A/C, Automatic Transmission, Tinted Glass, Optional Rear Headrests and an OEM Zebrano Wood Upgrade kit for the dash and door panels. With excellent gas mileage of near 25 mpg, pristine examples such as this are increasing rare, especially under 150k miles. Mechanical restoration maintenance includes a new ANSA exhaust, Bilstein HD shocks, Potenza radials, new headlights and door surrounds, new timing belt, hoses, recent tuneup and voltage regulator relay. No you are not reading double.....the terrific 1987 190e 2.6 we sold two years prior came back up for sale with the third owner having only driven it an additional 2000 miles.....so we jumped at the opportunity to get back one of the finest examples that remain in the country. We cleaned it up, detailed it and replaced a few items that needed attention or replacement. Within 2 days of its arrival, it was sold again to a Mercedes fan that will be taking it to California - where we know it will be taken great care of....and when the 3rd owner gets ready to move on - we look forward to seeing back with us again....We Love This Car! A rare original condition 2 owner 911SC with Whaletail and Sunroof options. Finished in the original factory Guards Red with Black Leather seating and vinyl interior. Meticulously maintained by the current 2nd owner since 1986 with the same mechanic, with all service records available. New Tires and New Battery. No accidents and a Clean Carfax; No rust, dings or dents. Minor 2 inch separation in the seam of the passenger seat; headliner at one corner of the sunroof opening has become unglued. Both issues are extremely minor and attest to this 911's excellent originality. Drives as beautifully as it looks. Last model year of the BMW 2002tii imported to the United States. This fully-restored example has been maintained by Beverly Hills BMW since purchased by the third owner. Used as a daily driver, every mechanical component needing attention has been addressed. 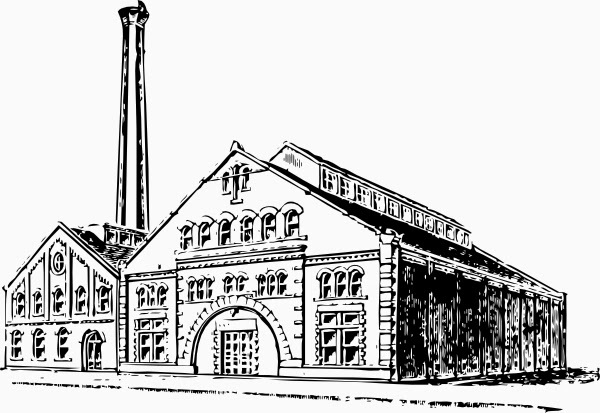 Extremely rare are the dual options of Behr Factory A/C and Factory manual sunroof as most examples were manufactured with one or the other. The car wears a professional respray of the original factory color, with the interior completely removed and redyed a gorgeous buckskin light tan. New carpeting was installed during the interior restoration, along with rear headrests. The Hella Factory headlights are original to the vehicle. No accidents and no rust with excellent chrome and rubber. Sure to appreciate in value. A one-owner California-delivered Volkswagen Convertible featuring the rare Sport option package with the Turbo S model designation. Original Robin's egg blue with black leather interior and 5-speed manual transmission; 18" 5-spoke sport factory alloys with Pirelli tires. This vehicle is in near showroom condition with no apparent flaws inside or out. Next to last year of the fully-rounded fenders. Mfgrs original warranty in force and transferable to next owner. Low Mileage 190e 2.6 Automatic finished in the original factory Black Pearl Metallic with Dove Grey MB-Tex Leatherette Interior. Options include electric front seats and headrests, electric windows, electric sunroof, aftermarket pioneer am/fm/cd/ipod aux stereo system with upgraded MB Quart Speakers housed in original factory locations. Cosmetic upgrades include white dial gauge faces with new needles, Euro Headlights with Glass Lenses, smoked tail light lens, black sportline grille insert, Sportline 7 Spoke Alloy Wheels and new Michelin Radials and Spare, German OEM Zebrano wood Dash Kit. All dings and dents have been removed by Precision Dentworks through the paintless process, and all nicks have been touched up using Dr. Color Chip process where possible. The original paintwork shows beautiful. Spotless CarFAX. 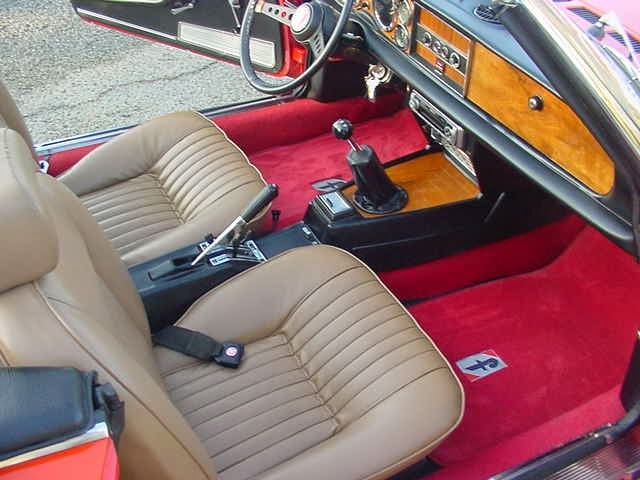 The interior appears showroom new with perfect seats, dash, carpeting and wood. Recent servicing includes new Michelin tires, new climate control monovalve, temperature sensors. Drives beautifully and attains nearly 20 mpg highway. A 1 Owner 1985 Mercedes-Benz 190e 2.3 W201 with 64,000 original miles that drives great; finished in the original and rare combination of Midnight Blue ( Code 904) with Dark Blue MB-Tex Leatherette interior and Blue Dash.Features include front and rear headrests, electric windows, electric antenna, the original factory am/fm cassette Blaupunkt Radio, Factory Floor Mats, Fog Lights, Full Factory Alloys, Cruise Control, Tinted Glass, Electric Sunroof and Right Side Mirror. The vehicle was well-cared for since new; Title was transferred at 30k miles from the owner into his personal corporation; The vehicle was recently purchased from the owner's Estate. Extremely rare 1997 BMW 318ti 3 Door M-Sport 5 Speed Manual Hatchback Compact . Finished in Alaska Blue With Black Leather/Grey Millpoint Cloth Interior. The Factory M-Sport Package includes lowered stance, stiffer suspension, special alloy rims, M Sport front airdam with foglights, M Badges embedded in side moldings and M rear lower diffuser. If you've ever driven or wanted a 2002tii, THIS 318ti M Sport is as close to it as you will get - with better acceleration and handling. Fantastic to drive! This E36 Compact began life as an Executive Car for BMW North America....Clean Carfax and impeccably maintained, this 318ti is becoming sought after by collectors for its agility and fun to drive quality - not to mention getting nearly 30 mpg. This example is fully optioned with electric sunroof, new foglights, ASC, cold a/c, heated M-Sport bucket seats and split folding rear seats. Comes with Factory Manual Books. Meticulous maintained and great driving 4 cylinder version of the Mercedes " Baby Benz "; Finished in a cream off-white with Palomino MB-Tex interior in perfect condition. Everything works as it should. Recent mechanical repairs include flex disks, sunroof motor, complete tuneup with new hoses, belts and fluids. Automatic transmission shifts flawlessly. Features upgraded OEM Zebrano wood dash and door panel kit. Standard with driver's airbag, a/c, tinted windows, electric windows, manual seats, electric sunroof, rear electric defroster. Exceptional gas mileage of 30+ mpg. These Baby Benz's are now appreciating in value and becoming difficult to find with relatively low mileage. 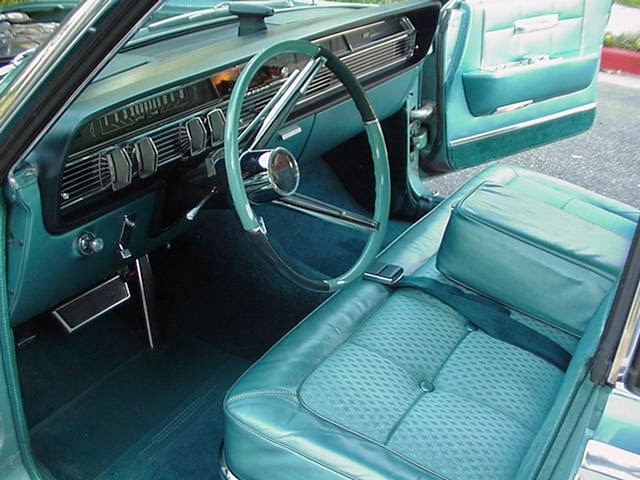 Extremely rare ONE Owner 1964 Lincoln Continental 4 door sedan in Showroom condition; Factory plastic and date-stamped tags still attached to interior seats and engine bay; Finished in the original Turquoise Metallic paint with matching Turquoise Leather and Brocade interior ( brocade features metallic silver thread Lincoln logo pattern on seat cushions). Fully optioned with am/fm radio, cruise control, electronic eye automatic high beams, tinted glass and seat belts. Chrome presents as new both inside and out. Data Plate indicates this vehicle was special-ordered for use as a display vehicle at the Ford pavilion of the 64/65 NY World's Fair; Subsequently delivered to the original owner - a former Ford dealer in Des Moine Iowa. Full mechanical restoration includes new exhaust, upgraded dual cylinder brake system, belts, shocks, hoses and radial tires. Just stunning. 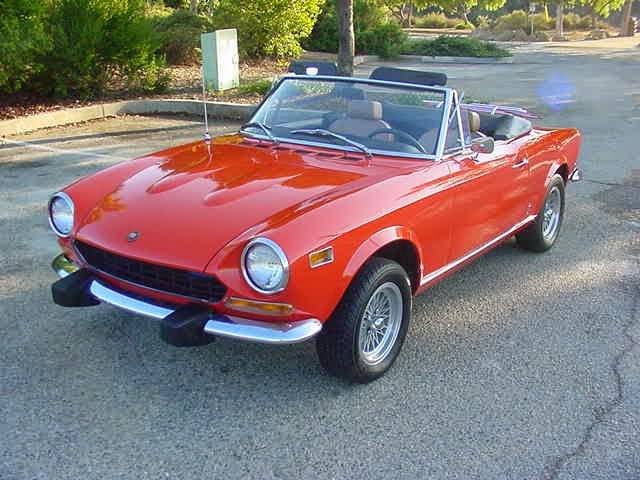 Rare Split-Bumper 1974 1/2 Fiat Spider convertible wearing original paint and interior. Purchased from the second owner - the regional manager for Ferrari in Orange County, who intended it as a gift to his daughter - who didn't want it. Previously purchased from the estate of the original owner and restored at Ferrari facilities. Original Red paint has a patina of orange due to UV exposure; interior fabrics and wood are as new, with all mechanical components and gauges operating to specifications. Documentation from delivery shows the wire wheels and rear deck chrome luggage rack were dealer-added options. A new Ansa rear exhaust has recently been added as have new Pirelli radials. No rust and no accidents. Amazing pristine condition. Looking For A particular Classic? We Can Locate And Restore A Car For You! Email For Details!